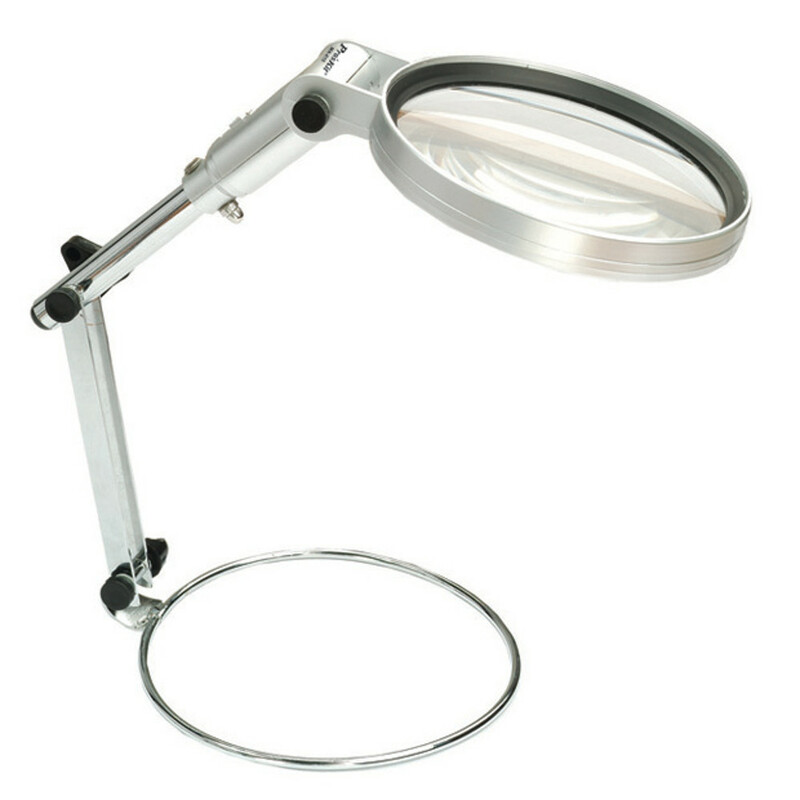 Glass lens with adjustable folding arms design. Sits on a desk or table and adjusts for varying height and angle. Great for working on hobbies, documents, and circuit boards, etc.